• After a vehicle is washed or in a rainstorm be sure to wipe off any water that is on the sunroof before operating it. 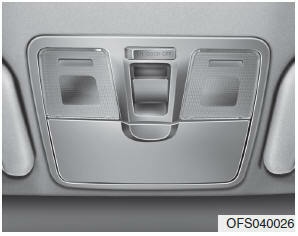 • Do not continue to move the sunroof control lever after the sunroof is fully opened, closed, or tilted. Damage to the motor or system components could occur. • Make sure the sunroof is closed fully when leaving your vehicle. If the sunroof is open, rain or snow may leak through the sunroof and wet the interior as well as cause theft. The sunroof cannot tilt when it is in the slide position but can slide while in a tilt position. • Never adjust the sunroof or roller blind while driving. This could result in loss of control and an accident that may cause death, serious injury, or property damage. • If you would like to carry items on the roof rack using a cross bar, do not operate the sunroof. • When carrying cargo on the roof rack, do not load heavy items above the sunroof or glass roof. • All occupants of the vehicle must wear their seat belts at all times. Seat belts and child restraints reduce serious or fatal injuries for all occupants in the event of a collision or sudden stop.